Gate valves are typically used in tandem with two other sets of piping systems. These valves are used to give you the ability to regulate the speed and volume of liquid flow through your pipes. The gate valves, which can be used in firefighting or even in the petroleum industry, are designed to either be completely open or closed. In this manner, most gate valves are utilized in turning liquid flow on and off. 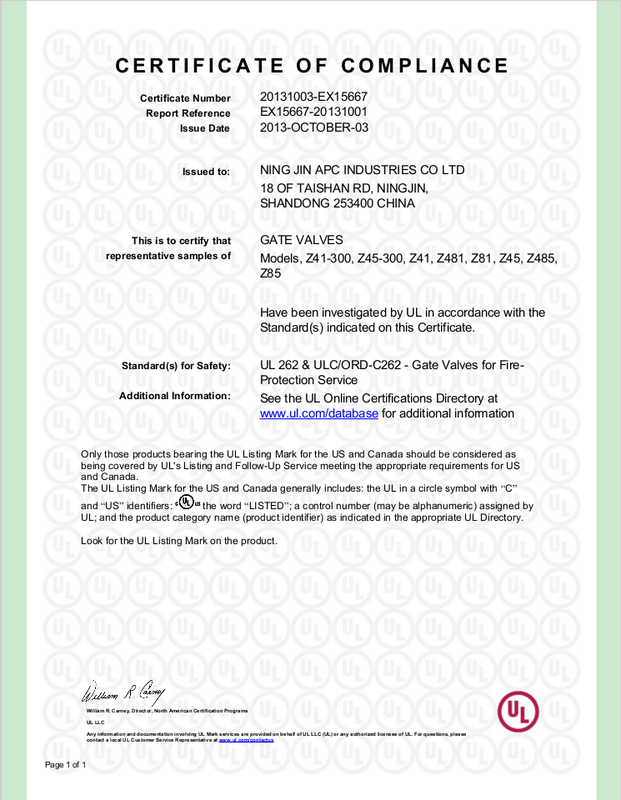 The stems of the UL FM Gate Valves 300 PSI NRS are of the non-rising system version. This means that in contrast with its rising system counterpart, the valve stem does not necessarily rise according to how much the gate valve has been opened. Instead, the gate valves indicate their status in a much different manner. Although the gate valves do not use this type of system, it still comes with a hand wheel that can be used to operate it. 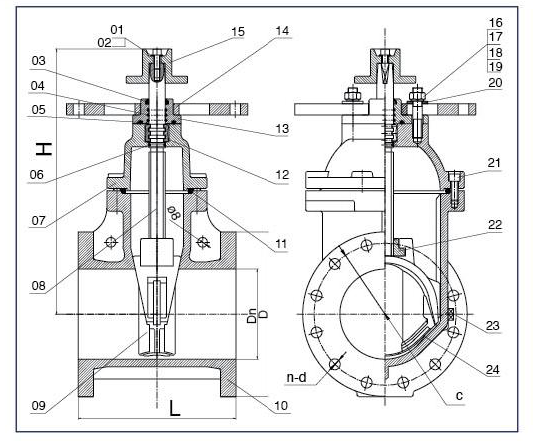 Design standards of gate valve ends come in two distinct differences. The first type is the grooved ends, which utilizes grooves to make a connection with the two sets of pipes that will be connected with the valves. These grooves are similar to other objects that use grooves for connections or sealing. For example, grooves can be found on water bottles, where both the cap and the bottle itself are sealed together through the use of the grooves. The second type of gate valve ends utilize flanges. 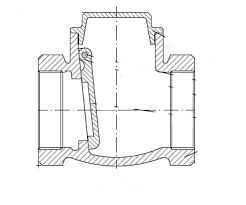 Flanges are a different system compared to the grooves, because it uses additional components to stabilize the system. 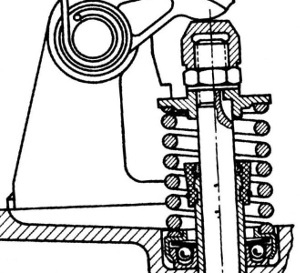 While grooves only need to have compatibility between the parts in the connection, a flange needs to use extra nuts and bolts to connect with a flanged pipe. This may mean that joint problems will have to be put in consideration. 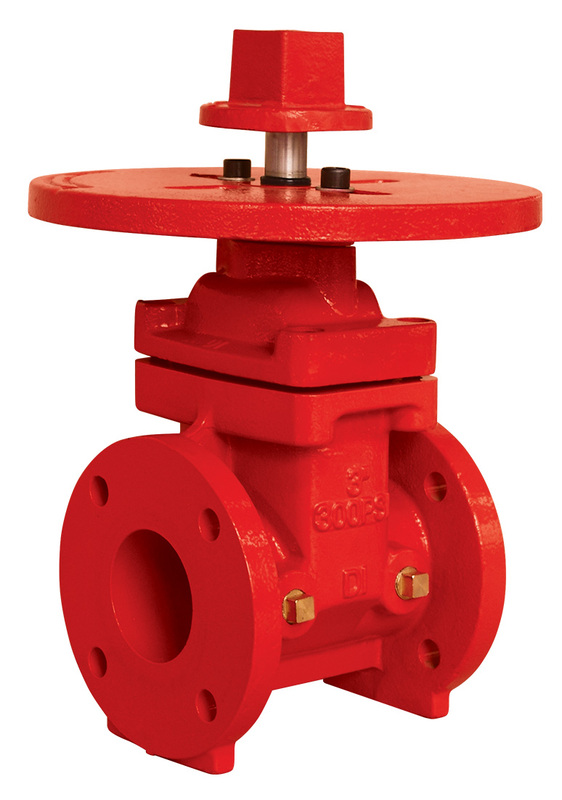 The UL FM Gate Valves 300 PSI NRS has only one type of end, and these are the flanged ends. The flanged ends of the NRS come with a flange standard of ANSI B16.1 Class 125, but this can be modified according to the specifications of the customer. 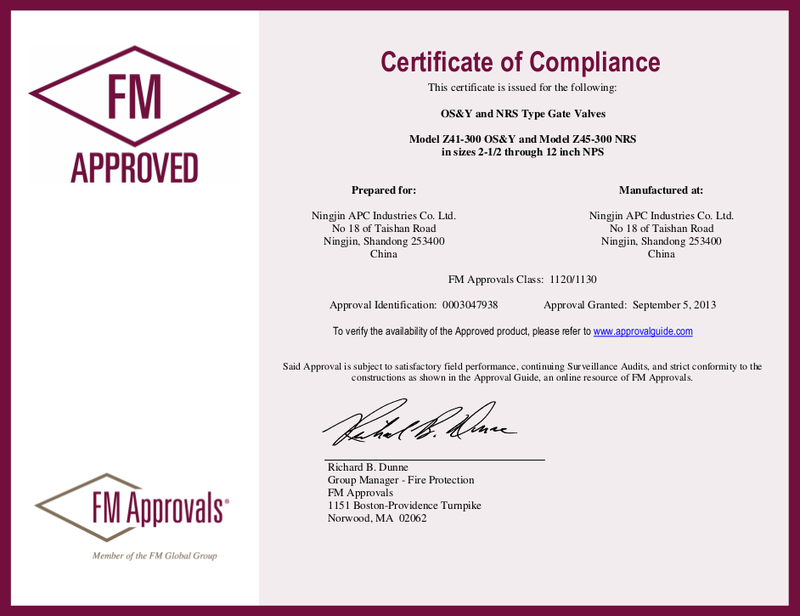 All of the valves are certified by the UL FM. If you choose to use the UL FM gate valves, you can be assured of the safety and quality of your whole piping system. Although the UL FM Gate Valves 300 PSI NRS all have a constant pressure of 300 PSI, their sizes do not necessarily stay constant. This is to make sure that every gate valve purchased by the customer will fit its partner pipes snugly. The wide variety of sizes serves two very important purposes. The first is that the quality and safety of the water flow will be assured if the size of the gate valve is perfect with the pipes. The second is that the wide range in stock will make it far easier to find the right size for your home or work.